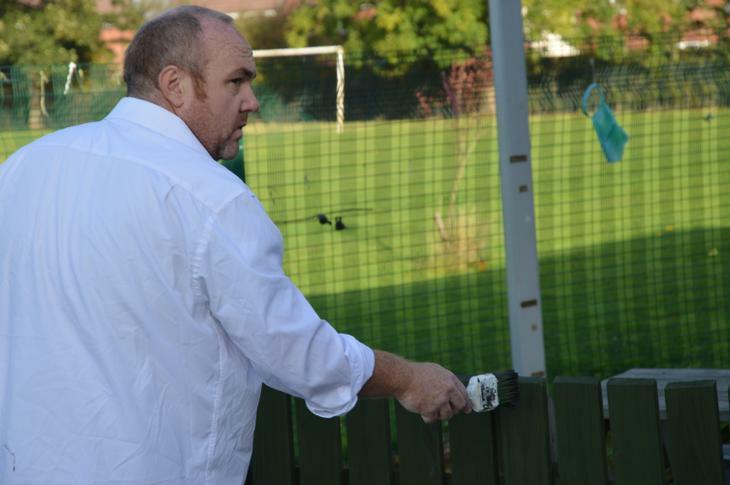 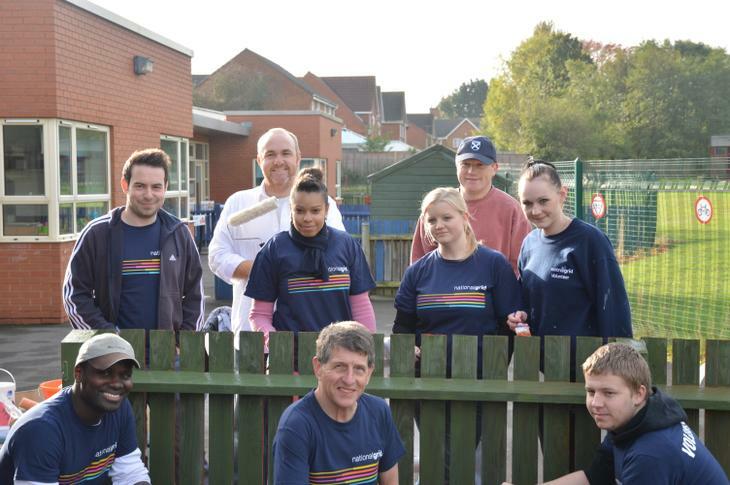 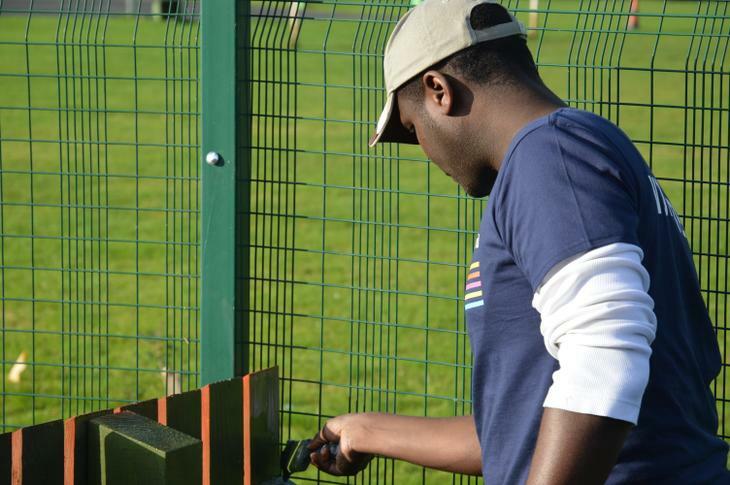 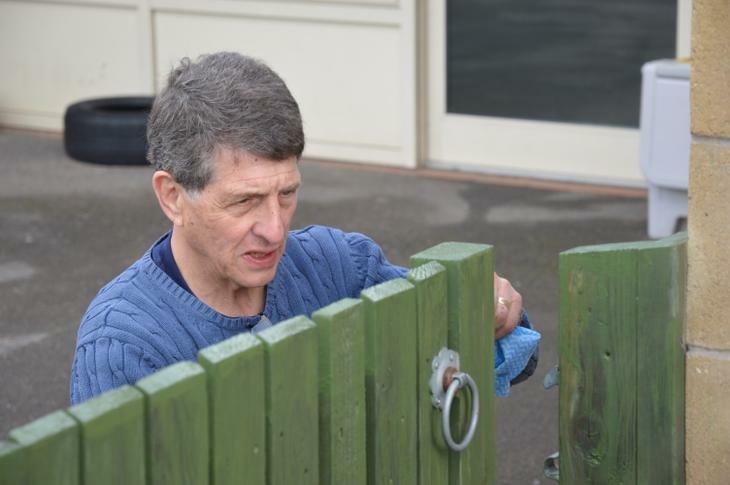 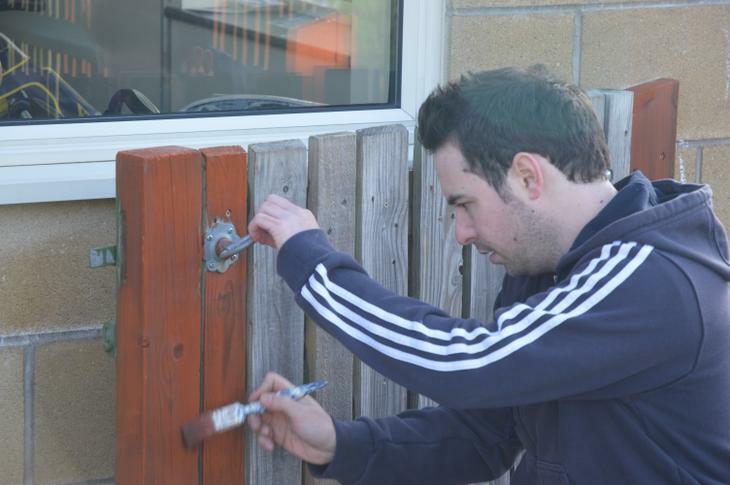 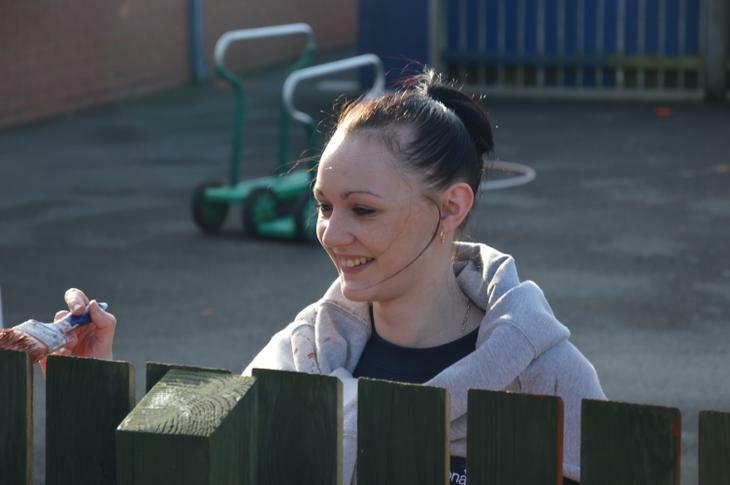 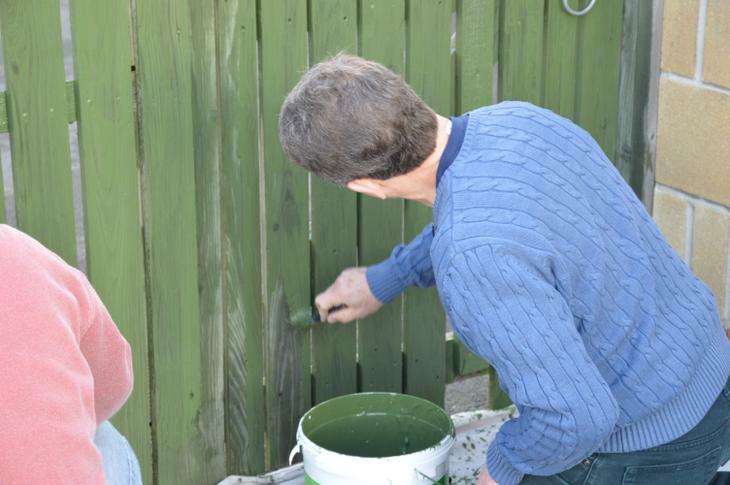 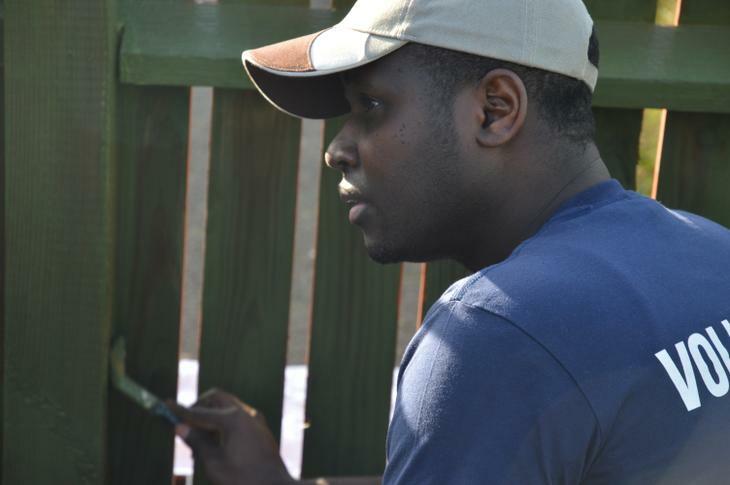 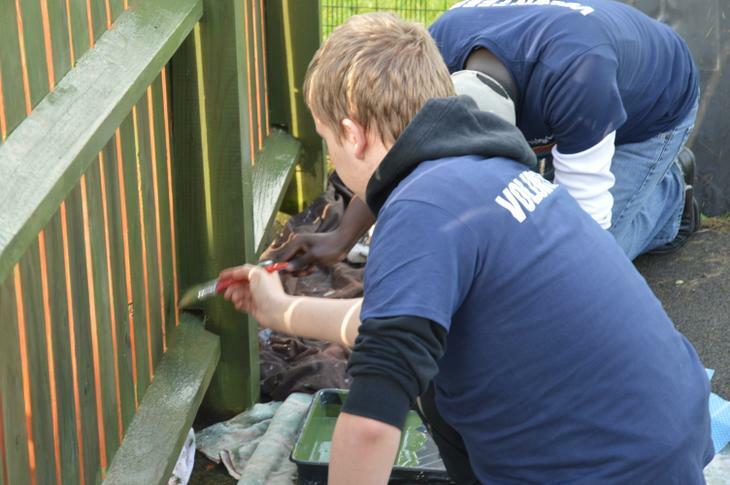 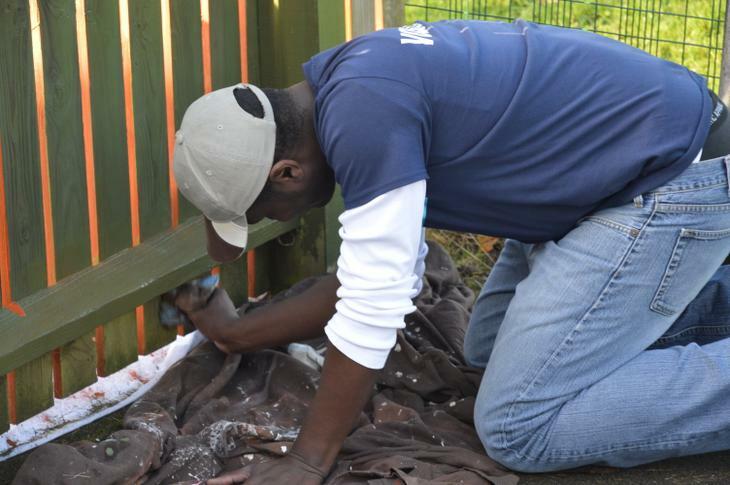 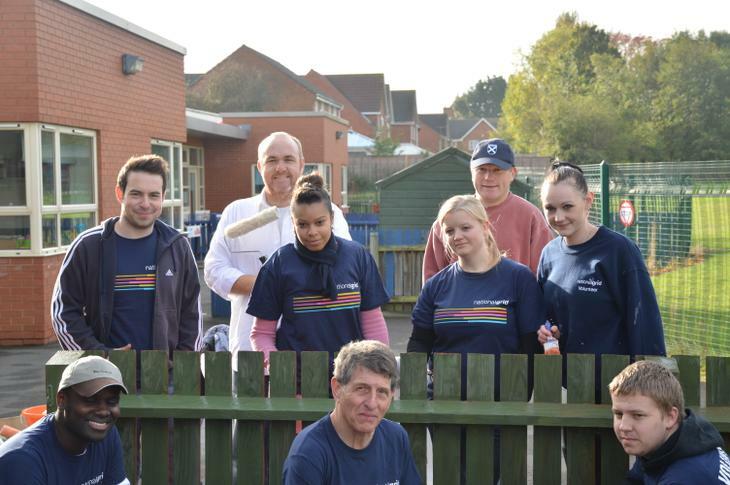 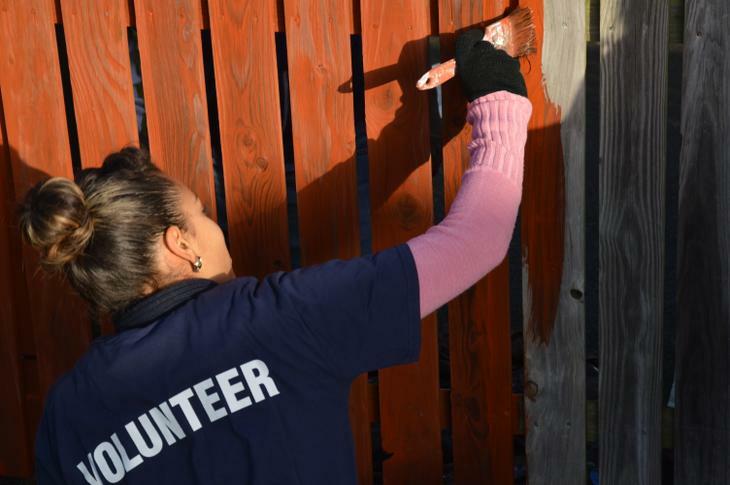 During Half Term volunteers from National Grid supported by Leicestershire Cares have been busy painting fences and quiet rooms. 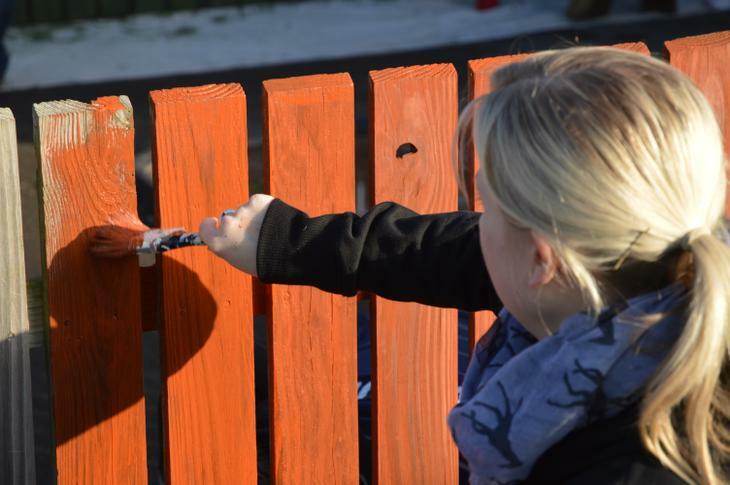 Bright Blue, Red & Green fences will welcome the children back to school on Monday. 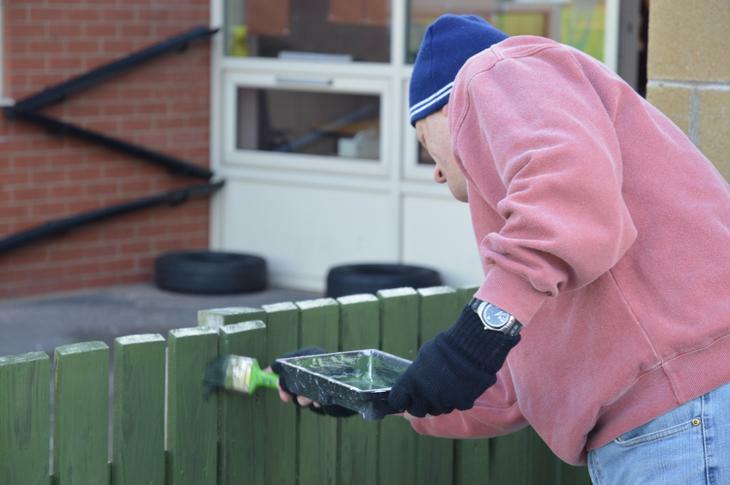 The team of 20 to 25 volunteers have worked extremely hard in mixed conditions since Monday and Head Teacher Mrs Thompson was extremely pleased with the results so far. 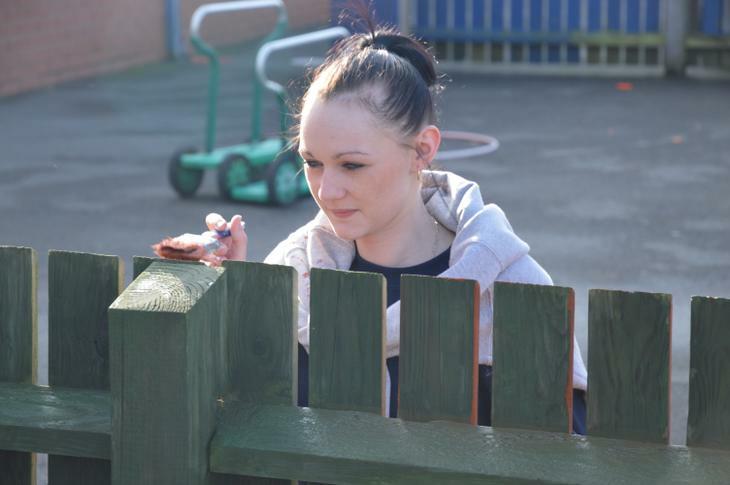 "They have worked extremely hard, they are very fast painters and yesterday (Tuesday) they got through a huge amount of work and are doing the same today"
"This work means the areas where the children are playing is far more attractive, there are far clearer boundaries for those children with visual impairment making it a pleasant environment the children can use". 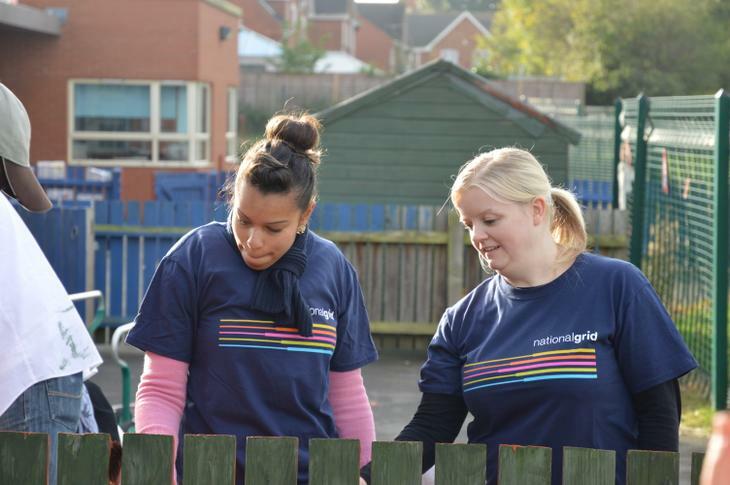 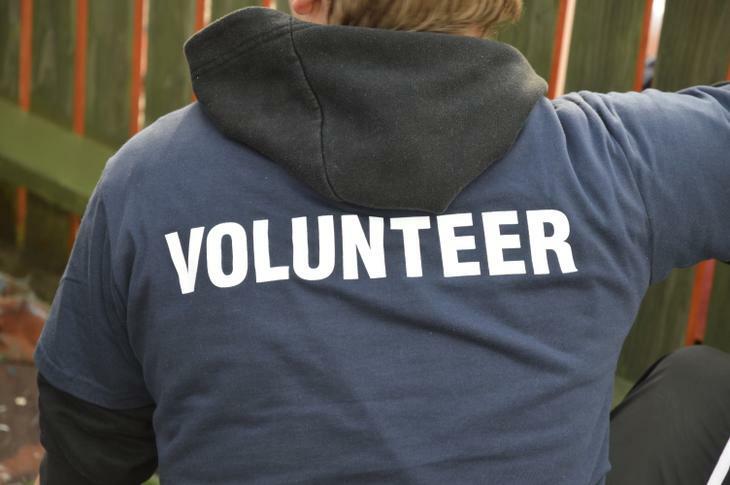 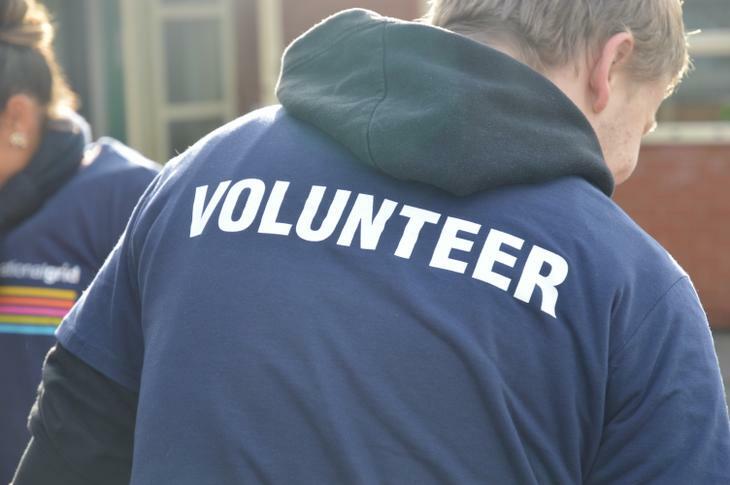 Everybody at Dorothy Goodman would like to say a huge thank you to the volunteers from National Grid and to Leicestershire Cares for their support in arranging everything. 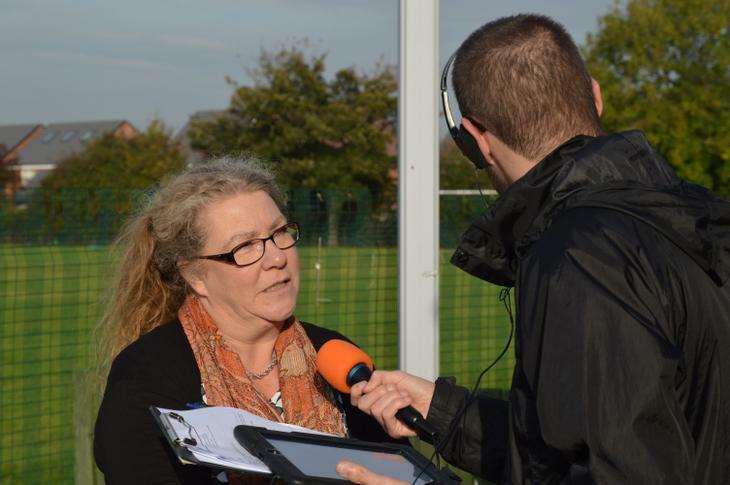 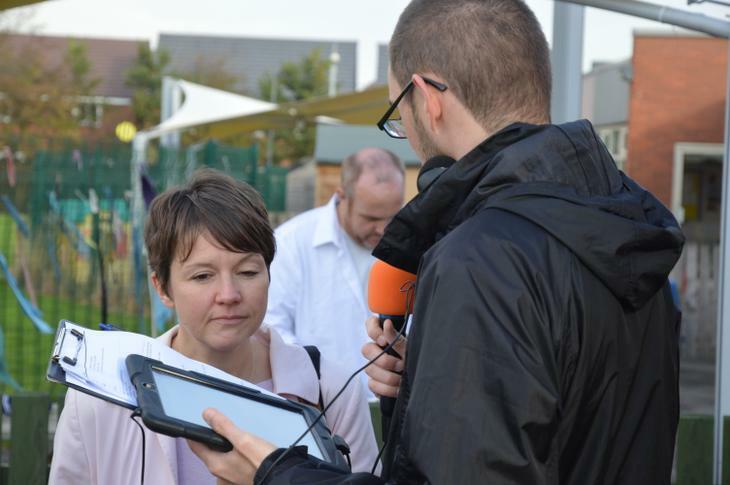 The Radio Leicester report will be available to listen to shortly.